MoneyTalks is open 8am to 8pm Monday to Friday, and 10am to 2pm Saturday. 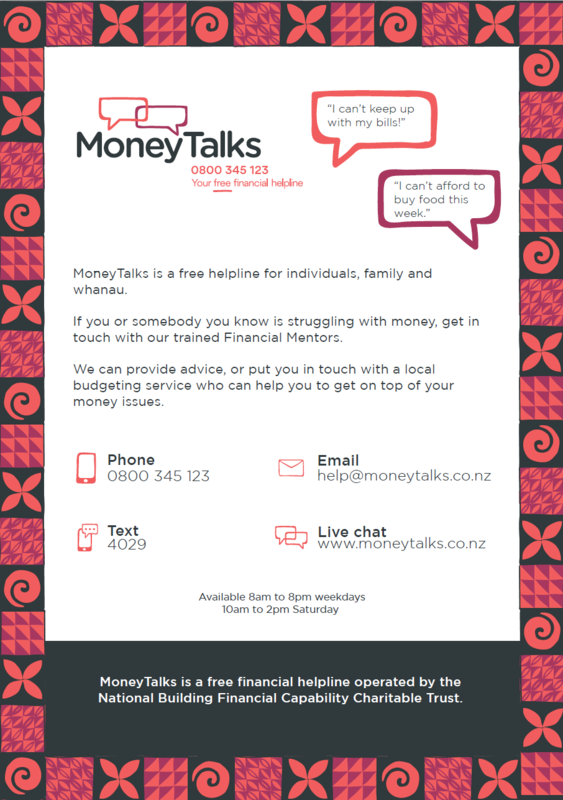 In addition to providing free, confidential budgeting advice, MoneyTalks will link callers with any other external services. Get in touch with us if you’d like us to add your service to our MoneyTalks referral list. If you’d like to refer your customers to MoneyTalks to receive free, confidential budgeting advice, get in touch. FinCap offers support to all financial capability and budgeting services in New Zealand. We provide these services with all the resources they need to help clients safely and confidentially.